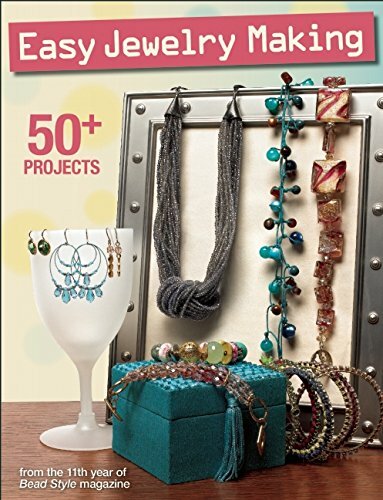 Easy Jewelry Making was compiled from the pages of BeadStyle magazine, and includes more than 50 projects from the magazine's eleventh year of publication! If you don't subscribe to BeadStyle, this is a great way to get the best of the best projects. 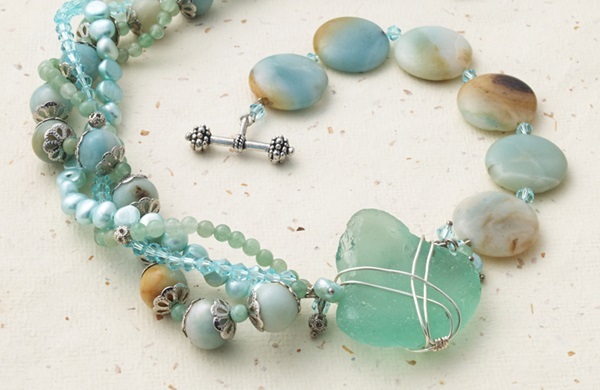 The projects are arranged by materials - crystals, stones, glass, pearls, metals, and mixed media. There is great variety, and most projects can be done using other materials than those shown, which is good, because there are no sources provided. That's a problem for those who want to duplicate the projects exactly, but is a great jumping off point for those who prefer to go their own way. There are many good points to this volume. The projects are easy, you will learn lots of good basic skills in many areas of beading, all while making fun pieces. There are great tips included to help you go beyond the project. There are also tips on how to do things better and faster, and their is fashion advice scattered throughout! Best of all is the breadth of basic skills covered. Just check out this list: knotting, finishing, weaving, wrapping, crimping, color blending, epoxy clay, working with chain, attaching charms, designing with color, wire wrapping, working with leather, using memory wire, getting necklaces to drape nicely, using a jig, and MORE! It looks like they don't have a supply list as the materials are easy to find and can be purchased any where. I love the sea-theme bracelet you showcased also. I don't subscribe but have a bunch of BeadStyle issues. You make a very good point about the book being a good way to get the best of the best.